EMU Australia's Gum Metallic Kids is a lightweight, comfortable, kid's espadrille. The Gum Metallic Kids features elasticated gussets and loop located at the back, for easy on and off. Made of metallic suede and featuring a fuchsia, starry night printed cotton textile lining, that your little ones will love. 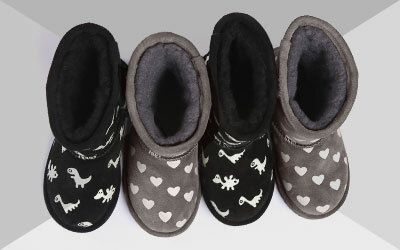 The cotton textile lining and microsuede footbed provide next to skin comfort, meaning these can be worn all day long. The gum rubber outsole features cork-flek to avoid trips and falls.